The whole collection is funny and bizarre and there's something distinctly "internet 2013" about it. Although it does remind me of Brandon Bird's stuff, too. Or, probably any artist dealing in celebrity pop art. 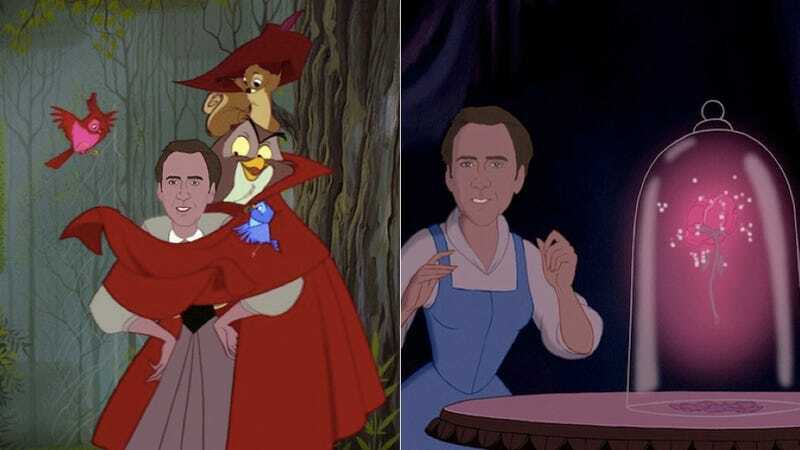 Either way, there's something comforting about Nicolas Cage doing anything — I hope he lives forever. If anyone could will that into happening, it's him.